Will is a doctoral student at the University of Bristol under the supervision of Dr Guido Heldt and Dr Angela Piccini. 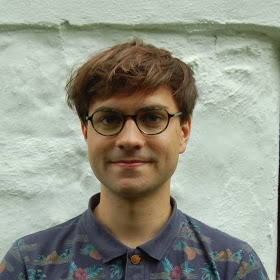 His PhD thesis explores music’s place in the BBC arts documentary series Arena. It considers the means by which Arena constructs ideas about music, and on the uses the series itself makes of music. He previously studied at Royal Holloway, University of London and the University of Cambridge where he completed a dissertation on jazz in the French New Wave (specifically, Et Dieu… créa la femme (1956), Sait-on Jamais… (1957), Les liaisons dangereuses (1959), À bout de souffle (1960), and Eva (1962)). Sometimes Will blows warm air down a trumpet in jazz and non-jazz settings.